The System may not unload your user profile correctly when you log off, or may get error as logging in as temporary profile. In Some 2003 Servers the service running under the non-windows account will not start and the event 1524 are logged against that account. The problem is caused by the corrupt local profile for the particular account. Recreating the account’s local profile on the server will resolve the issue. Alert description: Windows cannot load the user’s profile but has logged you on with the default profile for the system. 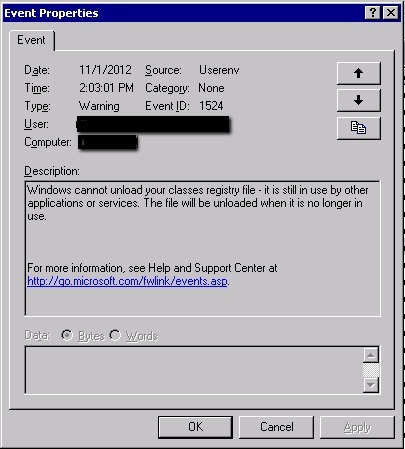 Event 1524: Windows cannot unload your classes registry file – it is still in use by other applications or services. The file will be unloaded when it is no longer in use. 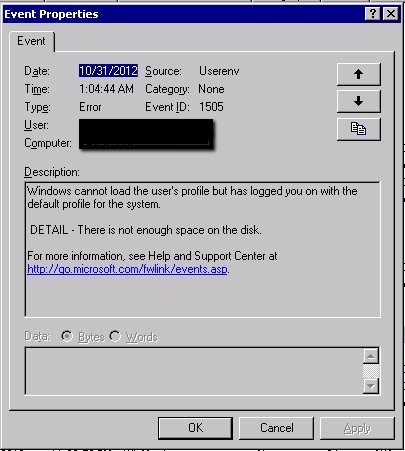 Event 1505: Windows cannot load the user’s profile but has logged you on with the default profile for the system. Detail: There is not enough space on the disk. 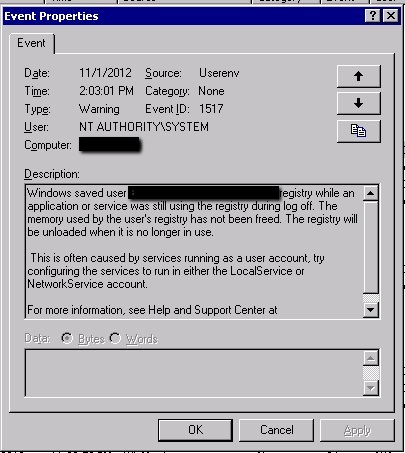 Event 1517: Windows saved user “Account Name” registry while an application or service was still using the registry during log off. The memory used by the user’s registry has not been freed. The registry will be unloaded when it is no longer in use. This is often caused by services running as a user account, try configuring the services to run either the LocalService or NetworkService account. – The Users trying to login may get the alerts as there is not sufficient space in the server, or will login using the Temporary profile. To resolve the issue, use the Microsoft User Profile Hive Cleanup Service (UPHClean). UPHClean monitors the computer while you log off, and then UPHClean unloads and reconciles user profiles so that you can log off. No Need to restart the Server, You can randomly check by logging with different accounts, and you can see the issue resolved. 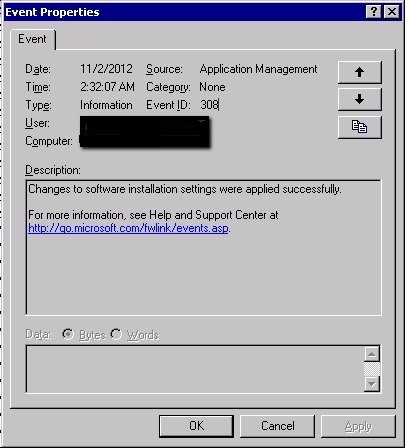 Don’t forget to check the event viewer after logging in, you need to confirm if you have got Event 308, which confirm the account was logged on successfully. The error no more appears while logging into the Server.